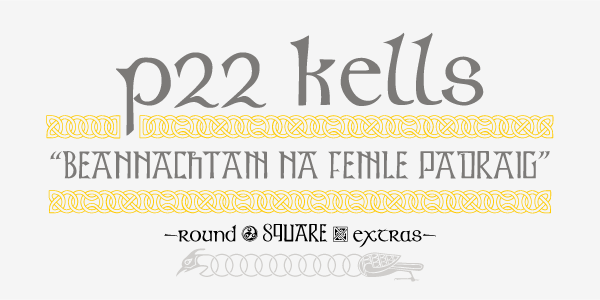 P22 Kelly is a Celtic-styled uncial font with a medieval gothic flavor and an overall contemporary feel. 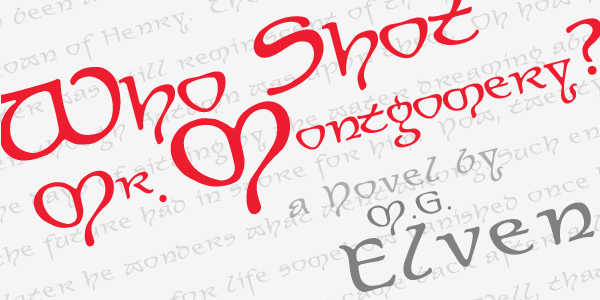 The font is an addition to the Sherwood Collection of historical and period-based fonts by Ted Staunton. 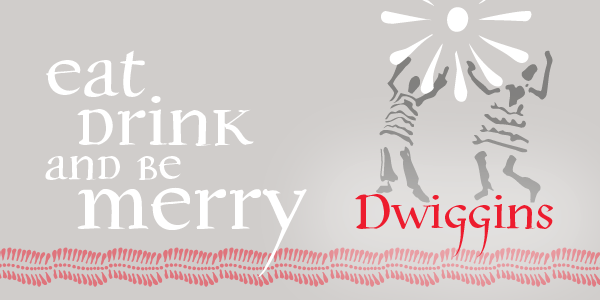 It is ideal for uses that need to evoke the Celtic spirit or the medieval period. Based on 'half-uncial' Irish monastic handwriting of the 8th to 10th centuries, but instead of having a traditional upright stress, has an italic slant. Some Gothic influence is evident (e.g. 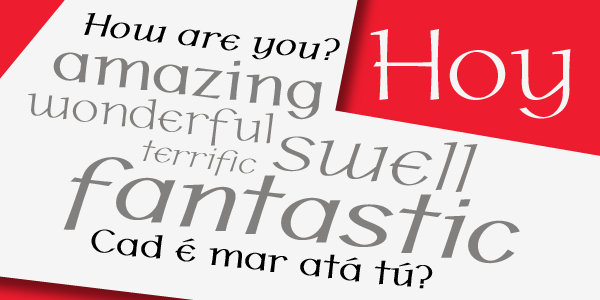 the thorn-like tick-marks decorating the capitals), but the rounded forms of h, m, n, u emphasize a wide, open (horizontal) visual texture. The font is named in honor of the Book of Kells, the 8th-century masterpiece of Celtic calligraphic art, which is kept in Trinity College, Dublin.